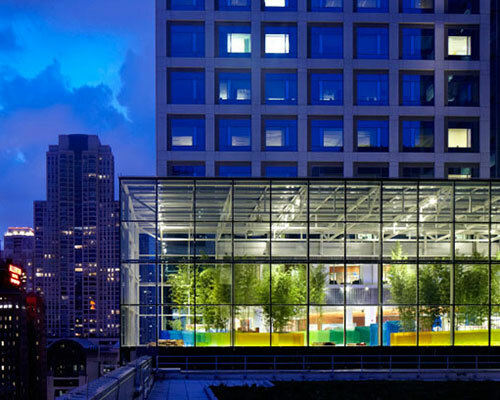 offering a place of sanctuary atop of the new chicago lurie children’s hospital, american studio mikyoung kim has created the interactive ‘crown sky garden’. 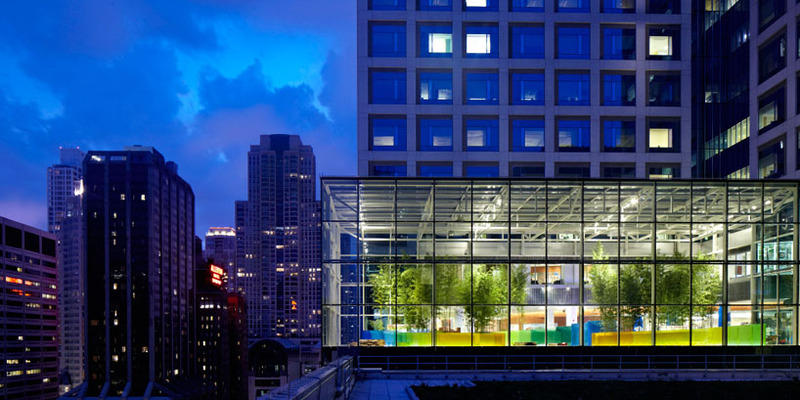 designed for children, families, doctors and administrators to use, the rooftop escape features curving multi-coloured walls that frame a linear bamboo grove. 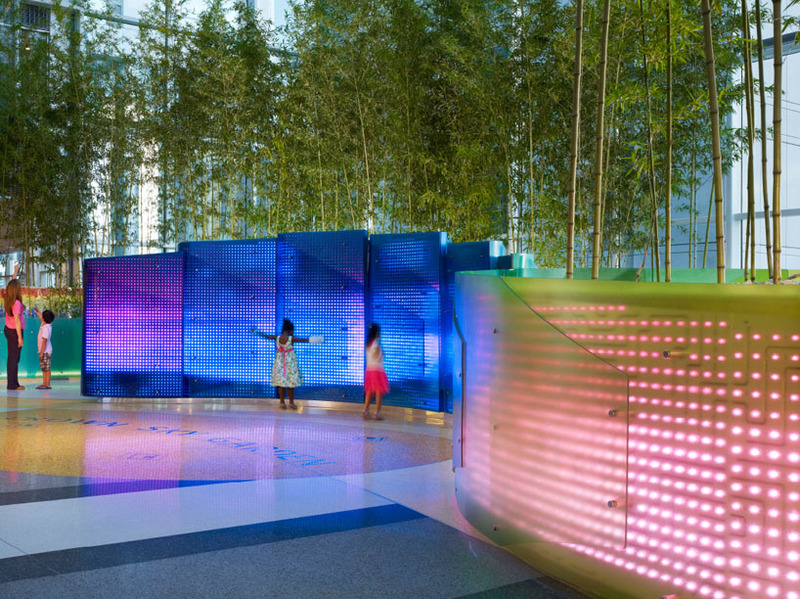 a dynamic interplay between light, and color is accentuated by the glass marble water as it meanders through the planters, creating rippled shadow effects onto the surrounding spaces. 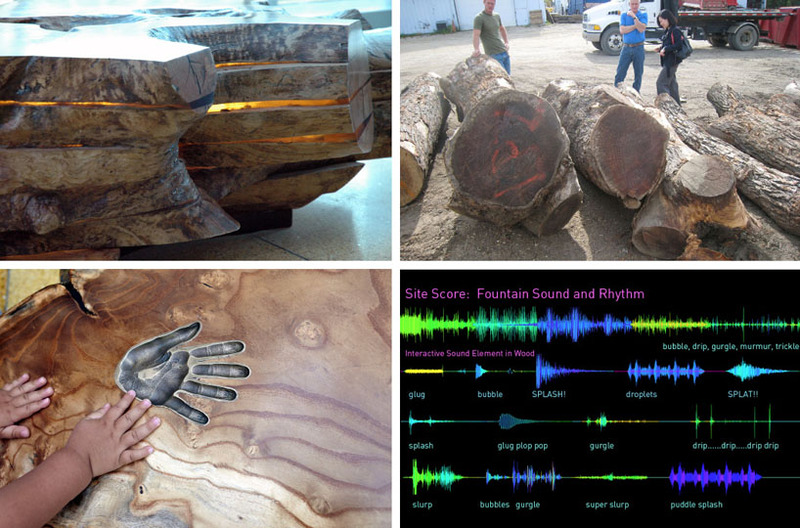 both light and sound elements have been installed in the resin walls and locally reclaimed wooden play sculptures, helping to engage the children with the garden through orchestrated notes of nature. 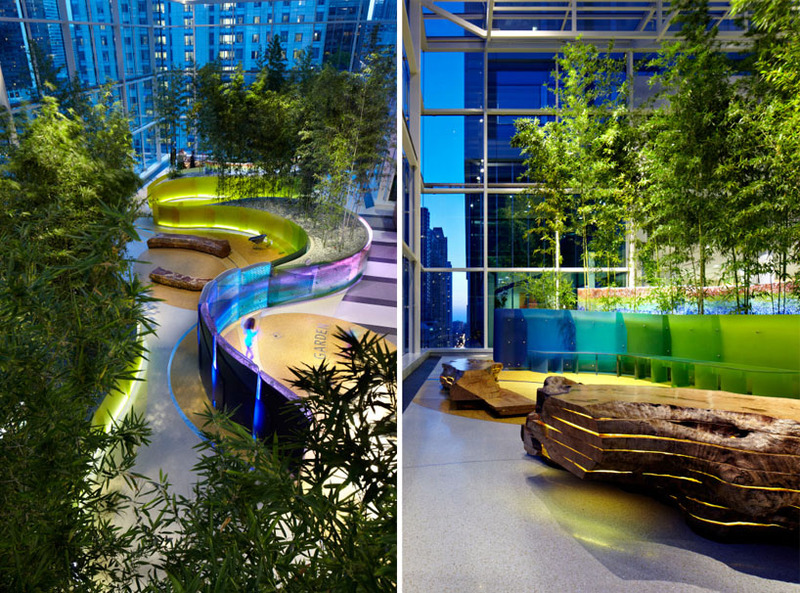 situated around the garden’s periphery are contemplative spaces from which to view the city and interact with the garden on a more intimate scale. 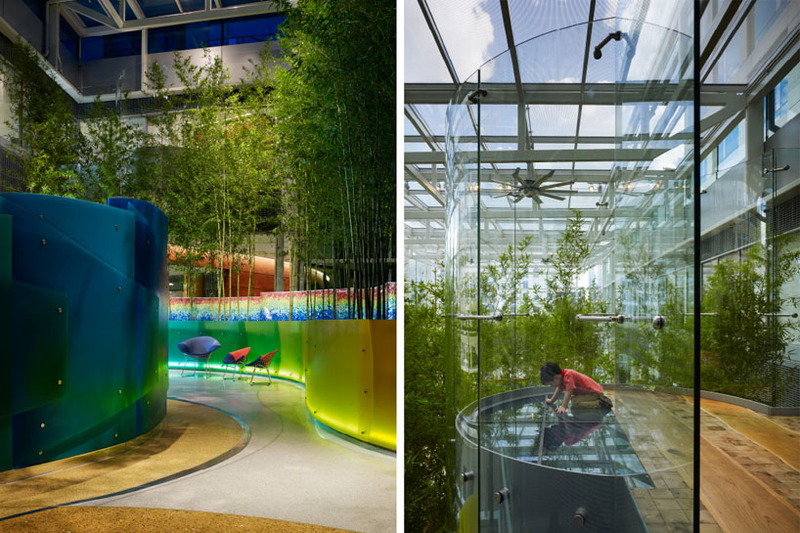 the project was based on psychological and physiological research, which found that nature and contemplative gardens had significantly restorative properties on people. 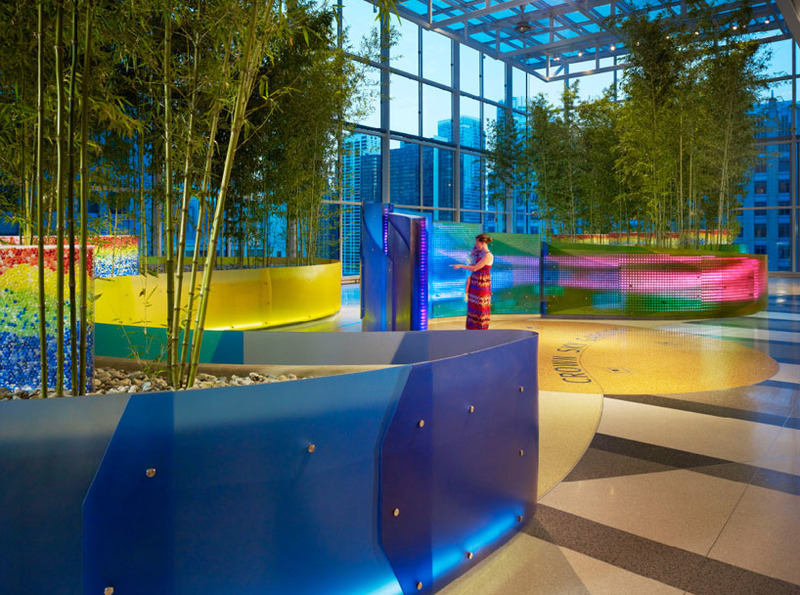 the integration of healing spaces into hospitals and institutional environments is important for both patients and their families. 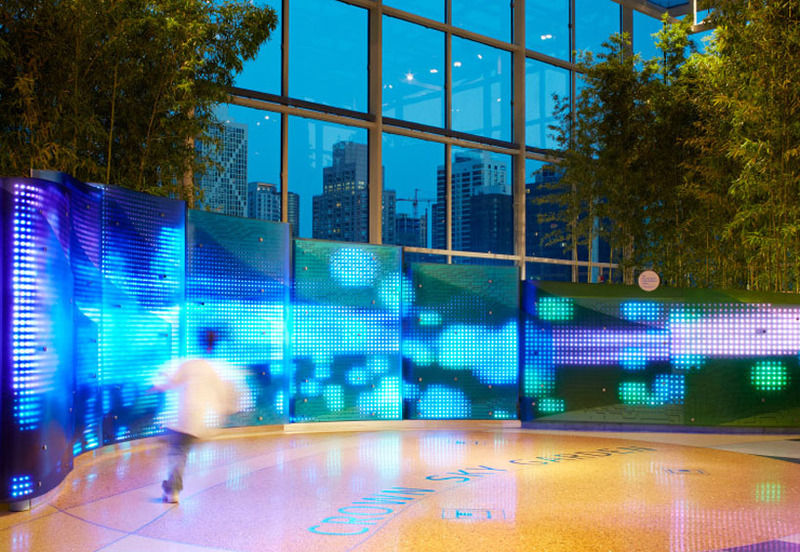 this new pediatric center in chicago, is partnering with the center for health design to examine the impact on stress levels in children and their parents through as a result of the crown sky garden. within five minutes of engagement, studies have shown that there is a significant lowering of blood pressure, heart activity, electrical brain activity and muscle tension. 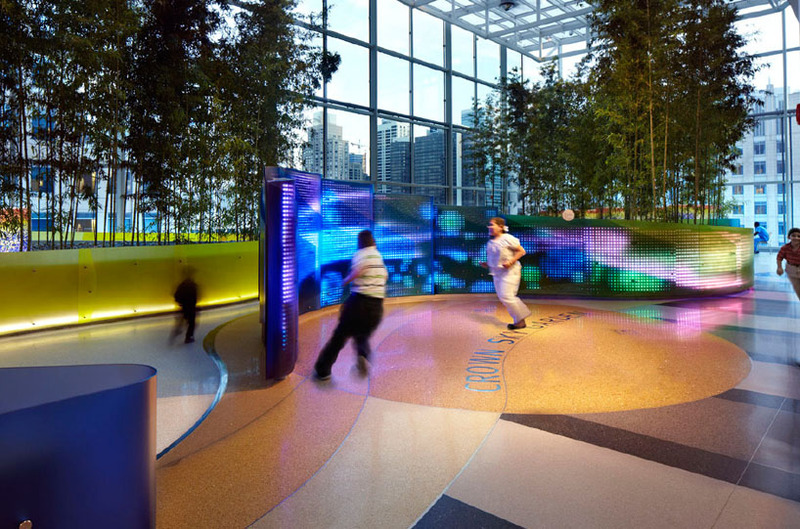 the final design allows for programmatic flexibility, creating opportunities for physical movement and exercise, as well as a variety of contemplative individual and vibrant collective social experiences.